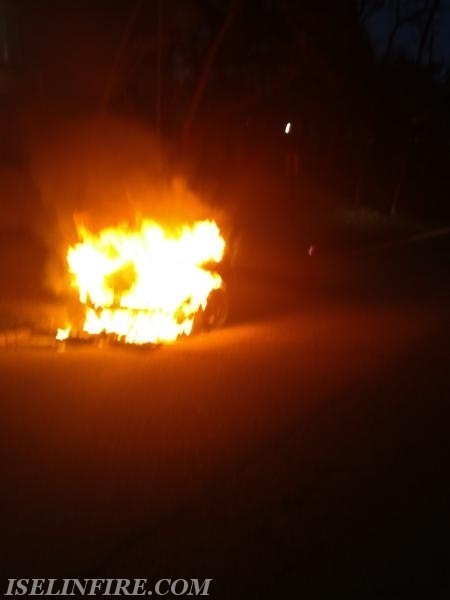 Districts 9 and 11 were dispatched to a car fire on Aspen Lane. 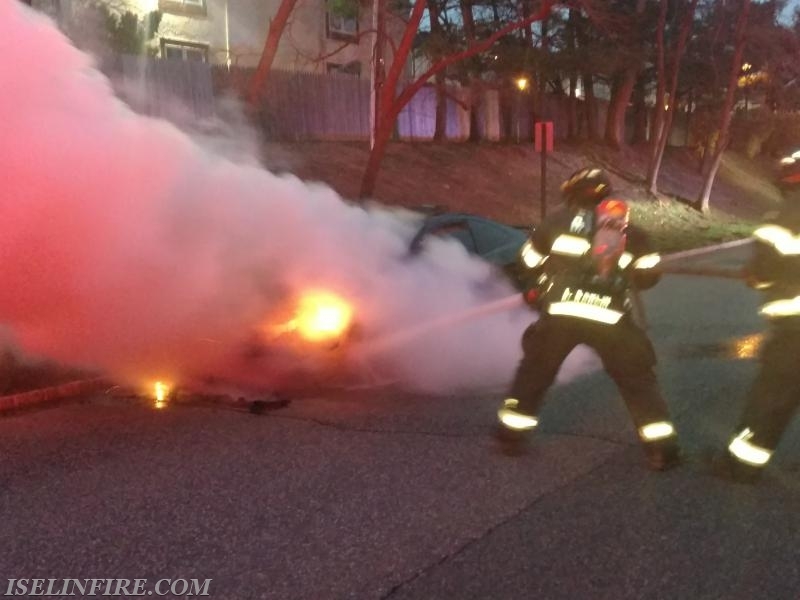 Upon arrival, Deputy Chief Bennett reported a car fire. 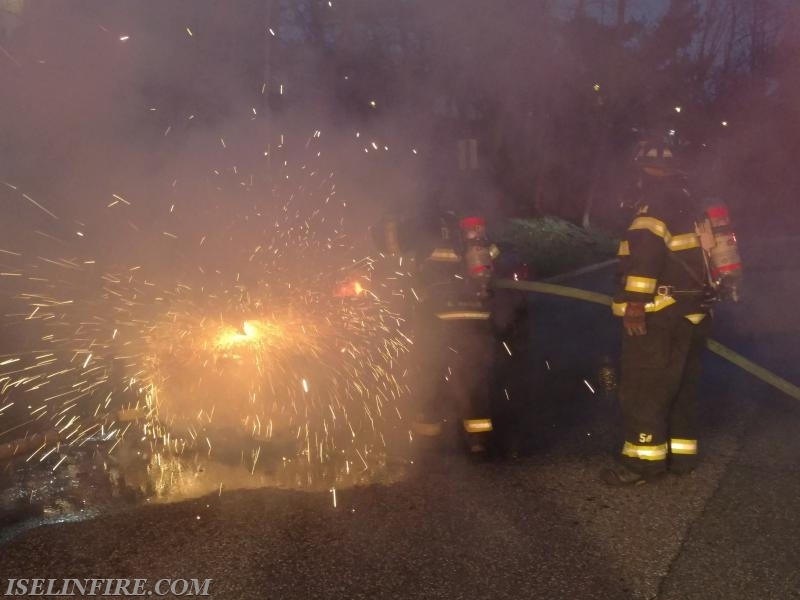 First due Squad 9-6 stretched a pre-connected hand line and quickly extinguished the fire. FF Adam Karlin and FF/EMT Jeff Joyce on the hand line. K-12 saw is used to open the hood for final extinguishment.